Today we have a sneak peek from author T.D. McKinnon’s book, I Was a Teenage Devil – But I’m Alright Now! This is the continuing saga of Thomas who, after ‘Surviving the Battleground of Childhood’, attempting to escape his coal mining community roots, joins the British Army at just fifteen years of age. He continues to grow up through the second half of his teens, steeped in the elitism of the infamous ‘Red Devils’. Searching for emotional validity, his trysts and affairs of the heart vary from fleeting, to sordid, to totally absorbing. On one occasion, when an old devil comes a calling (a sexual predator, disguised as a senior, RAF officer), Thomas decides to commit the ultimate sin! 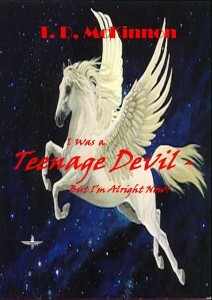 I Was a Teenage Devil – But I’m Alright Now! 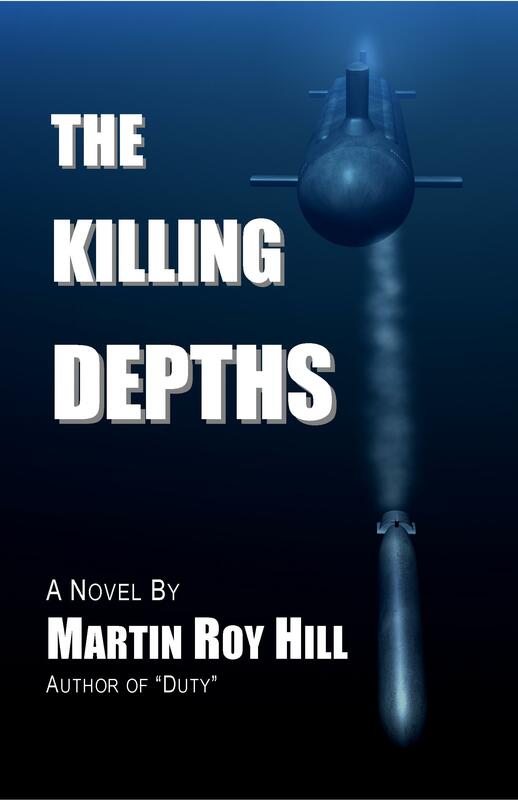 is available at Amazon.com, Amazon UK, Smashwords and other major online retailers. 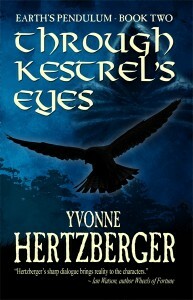 Today we have a sneak peek from author Yvonne Hertzberger’s fantasy novel, Through Kestrel’s Eyes. Seventeen years of peace are shattered when the lords of Gharn and Lieth are toppled by traitors, throwing the land into chaos. Liannis, the goddess’ seer, her training interrupted by the death of her mentor, must help restore the Balance. Until then Earth’s power is weakened, bringing drought, and famine. Liannis battles self-doubt and the lure of forbidden romance as she faces tests and loss. But Earth sends a vain horse and a kestrel, both with mind-speak to assist her. Time is short. The people will starve if Liannis fails to help Earth heal. Through Kestrel’s Eyes is available through Amazon.com, Amazon UK, and Smashwords. Today we have a sneak peek from author Nigel Hey’s memoir: Wonderment. Wonderment keeps the action going from the author’s childhood nightmares to the suspense of a brush with death in the neurology unit of a London hospital. Sometimes funny, sometimes thoughtful, this is the first-person life history of a writer who was born with a love of adventure, travel, people, and the mystery of who we are and why – laced with the humor, romance, family lore and drama that anchors a life well lived. He masters the burden of ill health and gradually, to his surprise, discovers his own spirituality. 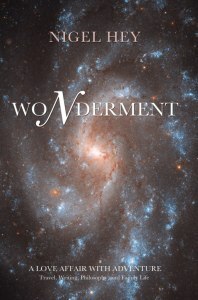 Wonderment is available from Amazon US, Amazon UK and Barnes & Noble.